Their set required some dramatic acting beyond mere singing, and they worked hard at it. They were absolutely wonderful, and a lasting memory for the many thousands who attended these concerts. It's nothing short of an artistic crime that their opening set is nowhere to be found on Trouble No More. It astonishes me that they've been given such short shrift. San Diego '79 has been thoroughly pruned of Dylan's raps and preaching. There were a few brief interactions and two extended raps. His onstage remarks charge the concert with a sense of urgency. Without them, a larger context and a motivation is missing. Removing Dylan's remarks diminishes the feeling of risk and high stakes of the performance. It was no minor thing, Dylan's preaching. Omitting them is a serious error in judgment. As an aside, Dylan was a more intense, involved, committed and driven preacher than Michael Shannon. Shannon doesn't have that live current of inspiration coursing through his veins. He doesn't provoke or challenge. Shannon's an excellent actor and no doubt the best choice for the job, but he's no Dylan. Aside from that, the San Diego performance is outstanding and memorable. Everybody clicks in perfect unison. They achieve spontaneity. Dylan's vocal is among his finest; these are definitive performances of these songs. It's the best concert performance to find its way on disc since the '66 shows, and that's not saying a little. I thought the cassette tape recorded at the mixing board would have more range, but the fidelity is quite excellent for what it is. I thought the brightness and alchemy of "Man Gave Names to All the Animals" is not captured on the tape. Somehow, the line recording makes the concert sound smaller. The voice doesn't quite fill the room or inhabit your head like being there does. It has a different feel than the audience tapes. 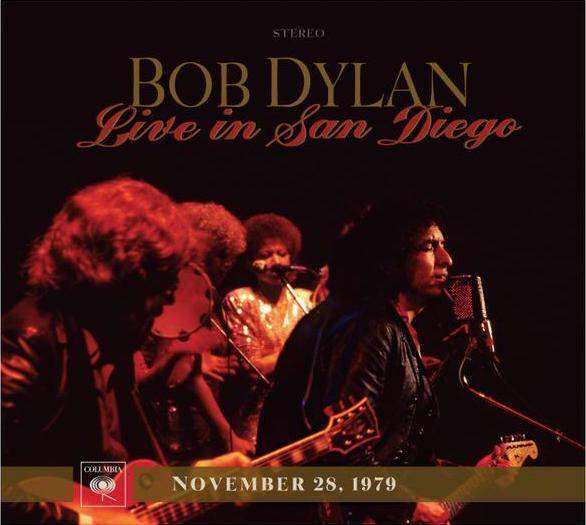 More audience presence and participation as captured on the crappy audience tapes relate to the timing and delivery of Dylan's and the band's performance. Perhaps it's a good thing that the audience is dialed down, I don't know. 03 When You Gonna Wake Up? 06 What Can I Do For You?